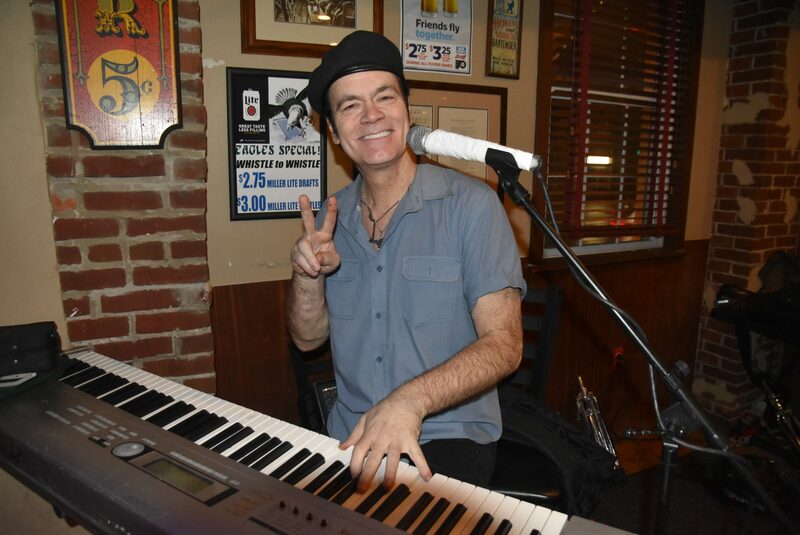 Northeast Philly rocker Michael LeCompt, supported by fans and friends, has continued performing while battling cancer. In many ways, it was a typical Tuesday night at the Ashburner Inn in Holmesburg. The LeCompt Trio was playing an acoustic set in front of a decent crowd for a cold, snowy night. Some were gathered to celebrate a birthday, and the first few songs included covers of Simon & Garfunkel’s Mrs. Robinson and David Bowie’s Space Oddity. 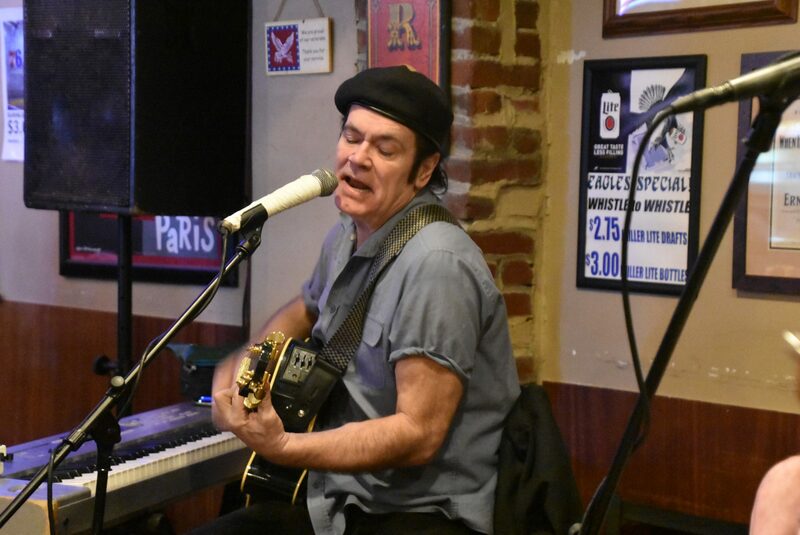 Michael LeCompt, the legendary Northeast Philly rocker, has continued playing gigs like this, even after he was diagnosed with stage III colorectal cancer in September. A lot of people would take a step back, but LeCompt hasn’t. Not during two months of chemoradiation and not ahead of a major surgery later this month. “It’s kind of scary, but I’ve been going strong,” he added. Almost everyone in the Northeast seems to know LeCompt, who began his music career nearly 40 years ago. One fan said, half-jokingly, that he’s played at bars that have changed names five times. In light of the diagnosis, fans have rallied around LeCompt. A GoFundMe page to help cover his medical expenses has raised more than $43,000 in about a month, and a benefit concert is in the works. LeCompt said he has been blown away by the response, and he thanked his fans for their support. “The support is something special,” said Billy Stott, LeCompt’s manager. “I had at least 200 bands volunteer to perform at” the benefit. Stott, a Northeast Philly native, met LeCompt when the two were in bands that made the rounds along Wildwood’s Pacific Avenue circuit in the 1980s. A few years ago, Stott began managing him. “He said, ‘I have cancer,’ and I, just… I froze,” said Stott, who lives in Yardley. “I said, all right, we’re canceling gigs.” LeCompt said no. The shows would continue, and it took Stott a while to realize why LeCompt was returning to perform night after night. Minutes after his set began at the Ashburner, several people were up and dancing. Nancy Zolk was one of them, having traveled 35 minutes from Bucks County with her husband to see LeCompt. 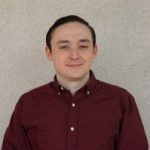 LeCompt grew up in Holmesburg surrounded by music. His older brother Jack, who died in September, was an acclaimed drummer who performed alongside Bette Midler, Stevie Wonder, Madonna and others. By the time Mike was 6 or 7 years old, Jack was in a band. LeCompt followed his brother into the music business. LeCompt was pretty wild years ago, and it wouldn’t be uncommon to see him swing from the rafters or throw a guitar. He also toured with the band Tangier and was part of the group’s hit song Stranded, which features a music video with Pamela Anderson. 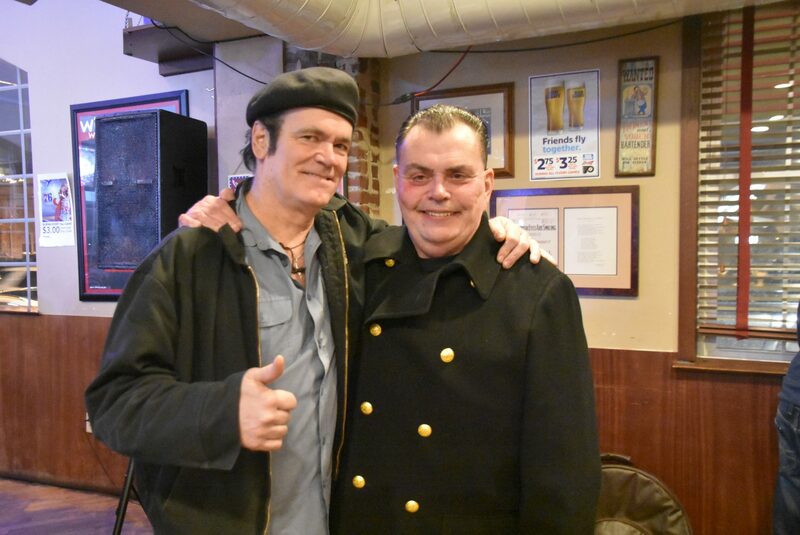 Still, the fame didn’t blind LeCompt, and he never forgot about his friends in the Northeast, according to Donny Smith, a longtime friend and fan. “He’s never had an ego, and I think that’s the reason that’s kept him out in front of everybody else,” Smith, of Mayfair, said. Later this month, surgeons at Fox Chase Cancer will attempt to remove LeCompt’s tumor. He is staying optimistic about the situation. “I feel lucky in a way because it’s been contained to a certain part, and they think it hasn’t spread,” LeCompt said. Since the diagnosis, he has been urging friends to get tested, and it has even inspired him to write new songs.